← A host of heavenly angels… in Nottingham? This is a special guest blog posting by Professor Charles Emmons of Gettysburg College, USA. Charles is a sociologist and has published widely from his research on the sociology of science and spirit, and appeared on numerous TV and radio shows in the US and Hong Kong. Together with his wife, Penelope – an ordained Spiritualist Minister and healer – Charles wrote Science and Spirit: exploring the limits of consciousness as part of a wider ‘where science meets spirit’ project. I first met Charles at the Exploring the Extraordinary Conference in York in 2011, where he stuck in my mind as being the first – and only – senior academic I have ever hugged a tree with! In this blog posting Charles reflects on his experiences as an academic and sometimes traveler to worlds beyond the habitual academic gaze. As you will see, it is not always in easy ride, but Charles has stuck with it and I look forward to many more exciting insights in the future from this very special member of our academic community. As a sociologist I have studied “normal” topics like politics in Hong Kong, but I especially like to study science, alternate spirituality, and the paranormal. Some of my books are about Chinese ghosts, UFO researchers, and spirit mediums. People sometimes ask me what my academic colleagues think of this. Less subtly, a few days before I was to appear in the TV show “Ghosts of Gettysburg” in the 1990s, a faculty member in the natural sciences sent an e-mail to the entire faculty urging them not to watch the show on the grounds that it was going to be a lot of nonsense. This was an interesting statement considering that nobody could have seen any part of the broadcast ahead of time. Perhaps he had strong precognitive abilities. I thought that the true spirit of science was to consider all questions and to keep an open mind before examining the data. Perhaps the most negative reaction I ever received happened at a sociology conference in the late 1990s at which I gave a talk about UFO researchers from a sociology of science perspective. One man in the audience complained bitterly that I had labeled his fellow professor at Harvard, John Mack, a “ufologist.” Perhaps I was embarrassing Harvard, but in fact John Mack had written a book about UFO abductees and had participated in many UFO conferences, thus fitting my operational definition of a ufologist. Shortly thereafter Harvard University established an ad hoc committee to investigate Mack’s work with abductees, whom he claimed were not crazy but were in fact having some kind of experience worth examining. His attorney asked me to write a statement to the committee about Mack’s work and the issue of academic freedom. He had to spend at least $130,000 in legal fees defending himself (successfully). In 2003 my wife Penelope and I published a book about spirit mediums (Guided by Spirit: A Journey into the Mind of the Medium). I sent a copy of it to the famous sociologist of religion (and the paranormal etc. ), Andrew M. Greeley, who had been on my dissertation committee in 1971. After reading it he replied that he wanted to thank us for writing such an interesting book. “I’m glad,” he added, “that you got tenure before you wrote it.” Greeley wrote the oft-quoted piece, “The Paranormal Is Normal,” meaning that most people have such experiences, even though mainstream science denies the value of studying them. I really must say, however, that I am fortunate to have gotten tenure (before Chinese Ghosts actually) and to have received financial support for my research (although not as much as I received when studying Hong Kong politics, a “normal” topic). I am also grateful for the positive reviews and supportive comments I have received from people I respect (like Scott Rogo who called Chinese Ghosts “a refreshing change from the nonsense”). I’ve come to feel sorry for people who are narrow minded in their view of what science is. They’re missing out. As J. Allen Hynek, the founder of modern ufology said, “Science isn’t always what scientists do.” And I am delighted to see the growing interest in serious study of the paranormal and alternate spirituality, especially in the UK, and especially among many young scholars. Great, thanks. There is a long way to go but younger scholars need all the help and support they can get to follow these ‘prohibited topics’. Hi Charlie! I’m a medical sociologist with a lifetime interest in the ‘paranormal’. I worked as a researcher in universities for some years and was always very careful to compartmentalise my interests for fear of ridicule and oppobrium by my academic colleagues. I’m now working independently but later this month will be presenting a paper to the academic staff at Roehampton Uni in London (where I did my Ph D). My title is ‘Poltergeists, ESP and Talking to the Dead: Does the ‘Paranormal’ Have a Place in Academic Sociology?’ I will be talking about some of the work being done by enlightened people (!) and will also discuss why so few sociologists have ventured into this area of study. Your honest comments about how others have viewed you will be great as illustrations of the bias and prejudice we face as sociologists who are just buzzing to do work in this area (or, like you, already doing it!) My partner is training as a trance medium. Only a few years ago he would have regarded himself as a ‘scientific thinker’. For a few years we ran a group and organised speakers on the ‘paranormal’. Two of these speakers were men were respected academics in scientific fields (one a Professor of Materials Science) but having established themselves in academia and now not far off retirement, they felt free to discuss their unconventional ideas (at least to like-minded souls like us). 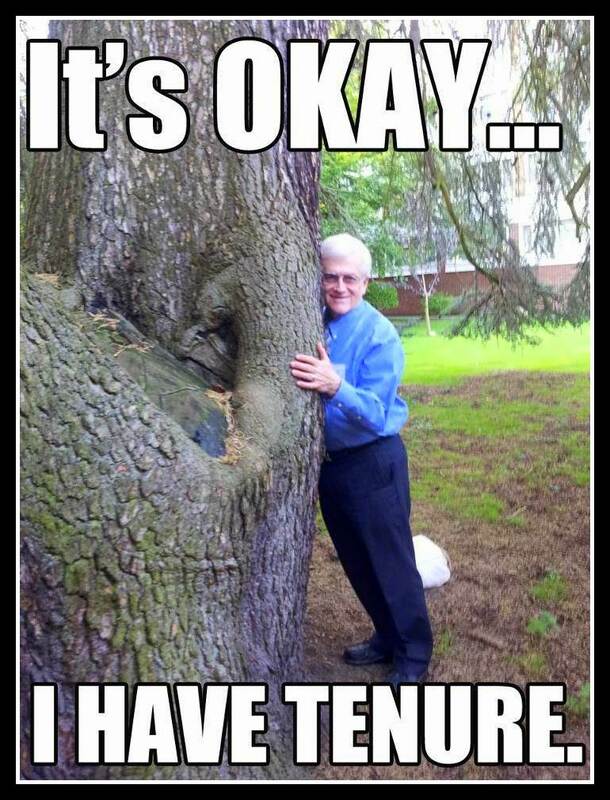 You are perhaps a little securer as you have tenure (well done!) but I do feel a little more willing to stick my head above the parapet having got my Ph D! Keep up the good work! A little late to read this (was looking for something else by Prof C Emmons and found this instead!) but wanted to comment anyway: this post was so encouraging but, in the same breath, a tad disheartening. As a graduate student who is studying the paranormal, it is disheartening to think that I might not be able to speak widely about my research (or at least to present certain aspects of my research and/or methods) until that oh-so-glorious day of getting tenure! For those interested in the paranormal (and to some extent, UFOs), I would recommend the writings of Emanuel Swedenborg. The German philosopher Imanuel Kant documented a case where he clairvoyantly described a fire in Stockholm. Swedenborg speaks matter of factly about OOBEs, and this in the 18th century. For those who want proof of the paranormal, Dr. Charles Taft did some pretty good controlled studies. Parameters of the term paranormal will all too soon have to be re-evaluated. The majority of academicians have little use for what’s real or coming to grips with what the truth is to those who have had personal experience in the areas these wind-bags try to explain away with status-quo verbage. 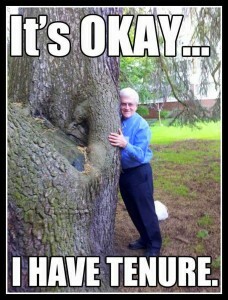 Gaining tenure means squat to these people. I am casually interested in the paranormal, extraterrestrials, and other explanations for the origins of the human race. I am a secondary English teacher, entering my thirty-seventh year of teaching, and I have studied and read the Bible all my life. As with any book, the Bible leaves many questions unexplained, including the books not approved by the Council at Nicaea (325) like the Book of Enoch, which I have read. I heard about you from my daughter-in-law, a Gettysburg graduate, saying that she enjoyed your course on this subject. Do you blog regularly? If you have any websites, blogs, or YouTube, please let me know. I appreciated reading your blog and the readers’ responses. Talking with the dead vs. talking with Tweeters… which is more scary?